At Uganda Parliament: The Public Accounts Committee of Parliament yesterday quizzed officials from the Office of the President about the whereabouts of two cars bought for the 2015 Papal Visit. The officials led by Mr Willis Bashasha, the acting secretary in the Office of the President, had appeared before the committee to answer queries raised by the Auditor General in his 2015/2016 report. The MPs were irked on learning that the two vehicles, a Kia Soul Hatchback and a Mitsubishi L200 pick up truck, which were bought at $35,940 (about Shs135m) and $50,631(about Shs190m) respectively, had gone missing at the time of audit. The Auditor General, Mr John Muwanga, noted in his report that whereas “Shs322.2 million was transferred to the ministry of Works for the procurement of Papal vehicles in November 2015, a review of the ministry assets register did not have the said cars, an indication that the Office of the President does not own the said vehicles”. Mr Muwanga further stated that according to the memorandum, the Ministry of Works and Transport was required to furnish reports to the coordinating ministry (Office of the President) regarding the expenditures made out of the funds released for the procurement of the said vehicles. The MPs flanked by Ntungamo Municipality MP Gerald Karuhanga, demanded explanations. “By the time the auditors came to you, they did not see the cars anywhere, did you eat them?” asked Mr Karuhanga. Mr Bashasha said whereas at the time of auditing there was no physical presence of the cars, the cars had been parked at the ministry of Works and not at the President’s office. He said the cars are available and in good shape, forming part of the pool of vehicles currently used by the Office of the President. With the Pope expected to pay another visit next year, the committee chairperson, Ms Angeline Osegge (FDC, Soroti) asked whether the tax payer will have to once again part with over Shs300 million for another car. Events from last Wednesday’s sitting of the commission of inquiry into land matters have exposed a suspected racket involving government officials and a private citizen to siphon off billions in disregard of court process, writes BAKER BATTE LULE. At the centre of this saga is a chunk of land measuring one square mile in Mutungo, Kampala whose ownership is being contested in court between beneficiaries of the estate of former Buganda king/first president of Uganda, Sir Edward Mutesa II, and Dr Muhamed Buwule Kasasa. The standoff dates back to 2002 but government, through parliament, was on the verge of advancing Shs 7 billion to Kasasa until Judge Catherine Bamugemereire, the land commission chairperson, stepped in. But before the commission’s intervention, Kasasa had already received Shs 2.4 billion. The Shs 7bn is purported accumulated interest for delayed payment. According to court documents seen by The Observer, the land on Block 237 was registered in 1946 in the names of Sir Edward Mutesa II. Sources familiar with the case told this newspaper that government’s abolition of kingdoms in 1966 created loopholes in the land tenure system that saw several kingdom properties and land belonging to the former Kabaka go to the state or individuals. Documents from the ministry of Lands show that the said land was, therefore, sold on June 13, 1968 by Nnalinnya Victoria Mpologoma, a sister of Mutesa II. At the time, Mutesa II was in exile in Britain. She sold it to Paul Kintu, who sold it five months later to Lake View Properties Ltd, a company owned by then chief justice Ben Kiwanuka, Bank of Uganda governor Joseph Mubiru, Lawrence Sebalu and a Ms Kabenge. Lake View Properties later mortgaged the title with Barclays bank before Kasasa bought it in 1979 and later subdivided it into several plots. It was in 2003 that administrators of Mutesa II’s estate lodged a suit in the High court against Kasasa and the Attorney General, stopping any dealings on the said land. Princess Dorothy Nassolo and Prince David Wasajja went ahead to place caveats on the various plots. However, that didn’t stop government, through ULC, from entering into agreement with Kasasa to buy five plots on the land for Shs 2.4bn. In 2006, government started paying installments of and by November 2007, Kasasa had received Shs 1.1 billion. In February 2008, ULC officials sought to clear the remaining balance but the permanent secretary of the ministry of Lands advised against any further payment in respect of the court case. Surprisingly, ULC still went on to enter a sale agreement with Kasasa on September 12, 2008 in spite of fresh warnings from lawyers representing Mutesa II’s estate. The agreement states that the sale was subject to the land being free from any encumbrances. Officials at ULC purportedly claimed to have sought clearance from the solicitor general on September 2, 2008. But another letter dated September 29, 2008 from the solicitor general raised queries in regard to the matter being before court. On November 19, 2009, the permanent secretary yet again questioned the payment of the balance after finding out that it is caveated, but four days later, government paid Kasasa Shs 1.3bn as a final installment. In a new twist on August 23, 2010, the solicitor general wrote to ULC, advising it to pay interest to Kasasa in respect to the same land. And so, on October 6 that year, Kasasa demanded Shs 8.8bn as outstanding balance. By coincidence, the ULC secretary wrote to Keith Muhakanizi requesting that Kasasa be paid the monies. Yet again, on October 13 when Kasasa delivered the letter to ULC, the commission secretary also demanded his pay from Muhakanizi that very day. Two years later on January 9, 2012, Prince Wasajja wrote to the Attorney general to complain about a suspected conspiracy between Kasasa and some public officials to defraud government. Copied in was parliament’s public accounts committee (PAC) chairperson, Inspectorate of Government and registrar of the High court. Attempts were made to remove the caveats but Justice Musalu Musene dismissed Kasasa’s application. With the court halting payments until the case is disposed of, Kasasa’s Shs 7bn claim seemed to have fallen through until May 4 when it was resurrected. Jane Kibirige, the clerk to parliament, wrote to Muhakanizi to bring to his attention resolutions adopted by parliament. Among them was to pay Kasasa Shs 7bn as part of the Shs 19bn earmarked for the ministry of Lands. But just before the payment could be executed, Muzamil Kibeedi, the lawyer representing the Mutesa II estate, got wind of the deal and wrote to Muhakanizi, Solicitor General Francis Atoke and the Lands ministry permanent secretary to stop the transaction. He also copied in Angeline Osegge, the PAC chairperson as well as the auditor general and IG. Still, nothing was done until the matter was brought before Bamugemereire’s commission, which acted swiftly to halt the transaction. At the same time, the commission also stopped another Shs 6bn payment to American Procurement Company (Amproc) through the same ministry. An MP who preferred anonymity but sits on PAC intimated told The Observer that both payments were smuggled in. “We never discussed them during our deliberations and it also came as a shock that the institution of parliament could approve the payments without due diligence,” he said. Another PAC member said the issue of encumbrances was never brought to its attention. “If we knew both deals were fishy, we wouldn’t have gone ahead to approve the payments,” she said. The commission of inquiry is set to summon all concerned parties as part of their investigations. This week Atoke said he needs more time to study the matter before responding. Efforts to reach Prince Wasajja or Princess Nassolo for comment were futile as their known numbers went unanswered, but Kibeedi welcomed Bamugemereire’s decision. UGANDA, KAMPALA. The outgoing Bank of Uganda supervision director, Ms Justine Bagyenda, has filed a case against 12 media houses at the Directorate of Criminal Investigations (CID) accusing them of defamation. The media houses, most of them online publishers, allegedly published Ms Bagyenda’s leaked bank, mobile money details and photographs of her alleged property. Mr Vicent Ssekatte, the spokesman of CID, confirmed that Ms Bagyenda has registered a complaint at police and investigations have already started. “It is true that she recorded a complaint and officers who handle criminal defamation and electronic related crimes are investigating. There are several media houses that are under investigation and their editors or owners are to be summoned to record statements,” Mr Ssekate said yesterday. He said the complaint is against stories that were published in Chimpreports, Eagle Online, Matooke Republic, Spy Reports, Trumpet news, CEO Uganda, Watchdog Uganda, Xpress Times, Investigator, Newz Uganda, The Insider Uganda and Daily Post Uganda about Ms Bagyenda. By yesterday, the detectives were still processing summonses for the editors and owners of the affected media houses to appear at CID headquarters to record statements. Detectives are focusing on offensive communication and criminal libel charges. The publication of Ms Bagyenda’s bank and mobile money transfer details prompted several major commercial banks to run public apologies in the media and promised to punish their workers who leaked them to different online publications. One of the owners of Spy Report online media, Mr Raymond Wamala, confirmed that he has informally been told about the police case, but added that they had not received summonses yet. The president of online publishers, Mr Giles Muhame, said he was not aware of any police investigations related to Ms Bagyenda against them. Twenty four currency points is an equivalent of Shs480,000. Kira Municipality MP and opposition chief whip in parliament. The temperature in Kampala these days averages 34 degrees Celsius during daytime. It drops to about 27 in the evening and to 24 degrees in the night. Measuring temperature using Celsius means water boils at 100 degrees and freezes at zero. The temperature in Kampala and in the biggest part of the country used to fluctuate between 21 and 24 degrees. Kampala now is as hot as Dubai, Doha or Jeddah. I think I no longer need a scientist or an environmentalist to preach to me the importance of protecting Uganda’s environment. It is the reason I got excited when Wakiso district chairman Matia Lwanga Bwanika in March last year raided Kasanje and arrested some Chinese nationals he found mining sand from Lake Victoria. The story of excavating Lake Victoria or mining sand from Lwera wetland near Masaka, to which I will return, is dominating parliamentary debates especially after the violent constitutional amendment. Maybe destroying forests has had a bigger impact on our weather than sand mining, which is the reason I want to link the two. Our revolutionary leaders may not be accomplished economists, but have used their 32 years in power to master tricks of public property acquisition. When they seized power in 1986, naturally they occupied government residential houses in Kololo, Nakasero and all over Kampala. They then coined what they called the housing loan scheme. Each sitting tenant in a government residential house was given an opportunity to buy it. Most of these houses were sold at about $30,000 (Shs 100 million). I know of two former ministers who walked into a commercial bank, processed a loan to pay for the houses and then immediately sold them off for profit. Then they came up with the motor vehicle loan scheme under which Mercedes Benz cross-country vehicles were sold at Shs 2 million which, in some cases, was not even paid. In 2003, the National Forestry and Tree Planting Act was enacted. Government was allowed, under this law, to subdivide forests and lease them to the so-called private tree farmers. I hope you still remember who the beneficiaries of this bonanza were. A total of 3,610 people were identified and given 111,056 hectares of public forests. These fellows were supposed to plant trees where degradation had taken place. Instead, they cut the remaining trees and sold timber. More than 1,000 of them abandoned the forests immediately the harvesting of timber stopped. Others cut all the remaining trees and planted beans, matooke, maize, etc. As a result, the country started losing 9,000 hectares of forests every year and is only able to officially plant 3,000 hectares. I hope you have followed the Justice Catherine Bamugemereire-led land probe. The story of how Kajjansi central forest reserve landed in the hands of Ephraim Ntaganda sounds like a movie. Ntaganda is the same man who bought a KCCA hospital along Nkrumah road and part of Nakasero primary school. Now that land, forests, buildings, vehicles, parastatals, etc, are all finished, what else do you want our revolutionary leaders to feast on? Isn’t it time for Lake Victoria? One of the accusations that angered our revolutionary leader during the 2011 general election campaigns was that of selling Lake Victoria. The revolutionary even wanted Dr Kizza Besigye arrested for “telling lies”. If I didn’t believe Dr Besigye in 2011, I don’t have any reason not to believe him now. Senior presidential advisor and commander of Operation Wealth Creation, Gen Caleb Akandwanaho (Salim Saleh), a very influential young brother of the revolutionary, is involved in the sand mining business. And his justification is that it is better to get industrialized than preserve the environment. He probably doesn’t know that both are possible. And that is the blackmail they have been using. To them, it is either their way or no way at all. Eng Irene Mulono, the minister of Energy and Mineral Development, told parliament on January 30, 2018 that it takes nearly 1,000 years for a centimeter of sand to form. “This can be correlated with studies of sediments in the Albertine graben, where a thickness of about one kilometre was deposited over a period of about 30 million years,” Muloni told us. And Agriculture minister Vincent Ssempijja told parliament that dredging will destroy habitats for fish. Dredging is an excavation activity usually carried out underwater, in shallow seas or freshwater areas with the purpose of gathering up bottom sediments and widening the trough. Ssempijja said maintaining these habitats was the basis for not permitting fishing by seining and trawling in shallow waters. He said tilapia will eventually disappear with any further degradation of shallow, near-shore areas. Already, Ssempijja said, the stock of tilapia has significantly dropped since 2005. Maybe Gen Saleh doesn’t know that fish export is among the top three major foreign exchange earners for this country. If well protected, fish has capacity to give Uganda up to $1.4 billion a year and becoming number one foreign exchange earner. And the other day I saw a state minister, Michael Werikhe, launching a Chinese boat which he said would clean up the lake for transport. He said dredging is fantastic work. In truth, I don’t know what this country will have by the time we begin marking the first anniversary of the fall of the revolutionary. A whistle-blower attached to the Internal Security Organisation (ISO) has raised a red flag on the on-going procurement process for a World Bank-funded internet connectivity infrastructure project. According to the whistle-blower, government might get a raw deal from the $75 million (Shs 270 billion) Regional Communications Infrastructure Program (RCIP), since the project is most likely going to be awarded to the highest bidder. 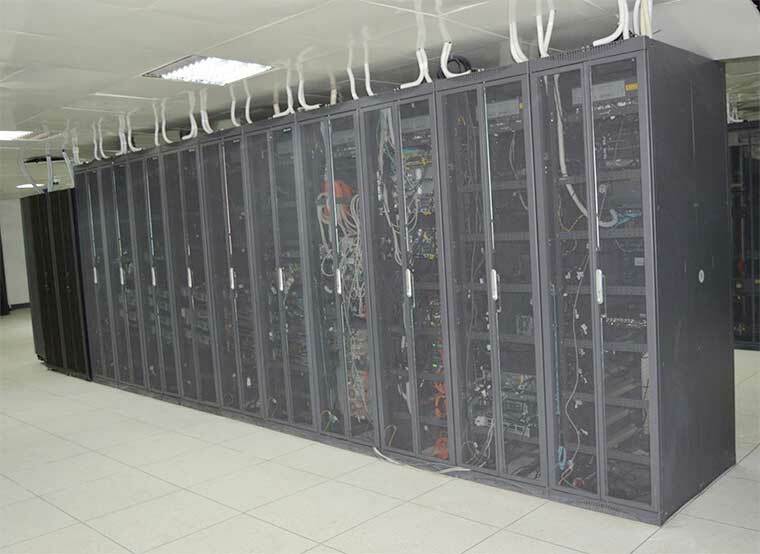 The RCIP project is being implemented by National Information Technology Authority - Uganda (NITA-U), and is intended to improve government’s efficiency and transparency through e-government applications as well as lower internet connectivity prices and extend the geographic reach of broadband networks. The procurement was initiated on August 3, 2017 after NITA-U ran an advert in the New Vision inviting bids to implement the project. The bid attracted six companies: Wanainchi Telecom, ZTE, Camsat, Banwidth & Crown services + Wuhang Fibre Home, Raubex Infra (Pty) and Huawei. While Huawei submitted the highest bid price of $15.8 million (about Shs 57.7 billion), it has since emerged as the favoured company for the project. According to the whistle-blower, Hauwei had been shortlisted along with another Chinese telecommunications company, ZTE, whose bid price was $8.6m (Shs 31.3 billion). The whistle-blower says by the close of business on January 15, 2018, ZTE had been dropped. Under normal bidding processes, the source said, Huawei would have been dropped by virtue of being the highest bidder. The lowest bidder was Camsat, pricing their bid at $8.2m (Shs 29.9 billion). Interviewed, the chairman of the evaluation committee, Paul Ngabirano, declined to say much since the process is still ongoing. “The process is still on, and, under the procurement regulations, I am not supposed to comment until it is concluded,” Ngabirano said. NITA-U executive director James Saaka, instead, blamed over-anxious bidders some of whom, he said, had leaked documents on the project to Budadiri West MP Nathan Nandala-Mafabi. “I know there is a letter that has been written to Mafabi but the procurement process is not yet complete because even I, the accounting officer, haven’t seen the evaluation report yet,” Saaka said. “Prospective bidders sometimes get over anxious but they should wait for the process to be concluded,” he added. The latest revelations come against a backdrop of fraudulent scandals that have rocked the body charged with regulating the ICT sector. According to the source, NITA-U bosses entered into multimillion dollar contracts with companies linked to some of the bosses at the IT regulatory agency. Among such deals, is the contract to certify ICT companies that want to do business with government which was awarded to Comtel Africa. Comtel Africa, owned by a former NITA-U board member, was allowed to take 80 per cent of the revenue it collects and only remit 20 per cent to NITA-U. While the whistle-blower cites some influence peddling in the deal, Saaka said that the former board member got the contract on merit. “It was an international competitive bidding process where no one can be accused of influence peddling, being a former board member doesn’t stop anyone from doing business, and secondly, he is in partnership with another company,” Saaka said. NITA-U bosses are also accused of causing the government a monthly loss of more than Shs 30bn paid to Kenyan IT giants Soliton Telmec to offer internet services to government departments and ministries through the national backbone infrastructure. The whistle-blower claims the $300 (Shs 1.08 million) that the ministries pay per mbps (megabits per second - data transfer speed) is too high compared to what is paid in neighbouring countries like Rwanda where government pays $50 (Shs 180,000) per mbps. Government is also reported to be cheated in the procurement of Cisco switches, which NITA-U buys at $2,600 (Shs 9.3 million) as opposed to Shs 1.4 million on the open market. It also pays $1,200 (Shs 4.3 million) for manhole covers that the same supplier sells to MTN at Shs 400,000. Saaka, however, says that the costs were previously high because of fewer users. For instance, he said, in 2011, when the national backbone infrastructure was implemented, government used to pay $1,200 (Shs 4.3 million) per mbps which has drastically fallen to current figure of $70 (Shs 252,000) with 280 government ministries and departments connected in addition to 186 free public Wi-Fi hotspots. Mr Pius Muteekani Katunzi for the Obsever newspaper, Uganda. When the National Resistance Army (NRA) captured power in 1986, one of the things they promised was to build an independent, integrated and self-sustaining and economy. This later turned into fiction. Why? Dr Ha-Joon Chang, an academic at Cambridge University, UK, attempts to answer this puzzle in his paper: “Ambition, pragmatism, and imagination: Rethinking the role of the state on economic development”. Dr Chang delivered this paper last week during Bank of Uganda’s 25th Joseph Mubiru memorial lecture at Serena hotel. The NRA/M was swayed by the wave propagated by the World Bank and International Monetary Fund, through their failed policies of Structural Adjustment Programmes (SAPs). These institutions preached privatisation. They discouraged any state subsidies. President Museveni, who was hitherto perceived as socialist, embraced liberalisation. Many state enterprises were privatized and, to date, nobody knows how much was fetched from such sales. For instance, Coffee Marketing Board (CMB), which had controlled the marketing of Uganda’s coffee, had its wings clipped and the marketing of coffee was left to private entrepreneurs. The cooperatives for coffee and cotton growers collapsed too. The president was often heard saying state enterprises had become parasitic on taxpayers. The industrial hub in Jinja collapsed and many enterprises which had given jobs and money to farmers closed. The country surrendered to the free trade imperialists. Dr Chang then asks: “Which of the developed countries practiced free trade in their developing stage? Is free trade a tried and tested recipe for economic development? The answer is no. All the developed countries, right from United Kingdom, United States of America, Germany and Japan, among others, pursued protectionist policies until they reached the summit of development. Dr Chang attempts to explain why developed countries later adopted and preached free trade policies by making reference to the 19th century German economist, Friedrich List. This precisely means developed countries reached the summit of development and they had to look for alternative means of venting their surplus, and the trick was to advise free trade to the developing countries. Dr Chang, provocative as he was, believes that using the historical perspective to debunk the myths of free trade demonstrates that there is an urgent need for thorough rethinking of some key conventional wisdom in the debate on trade policy and, more broadly, on globalization. Former Tanzanian president Julius Nyerere, who was a socialist at heart, once highlighted what Dr Chang addressed during the lecture. Nyerere once told the world conference of development partners that preaching and insisting on minimal state intervention in developing countries was like conducting a boxing competition between pugilists of incomparable weights. “Don’t listen to this nonsense that the state should give up the direction of the economy. It is nonsensical and we have so many stupid leaders who think that the economy can develop without state direction. That somehow you can hand over the development of your country to something called private enterprise unregulated! Who has done it? The Japanese have not done it; the British have not done it. The Germans have not done it. And these ignorant Africans have been deceived, ‘don’t interfere with the economy, leave it to the private sector’; where is the private sector?” he questioned. Ironically, Dr Chang seems to hold that the developing countries grew much faster when they used “bad” trade and industrial policies during 1960s to 1980s than when they used “good” (IMF-advised) policies in the last two decades. Dr Chang advised that developing countries must accept that the supposedly good policies are actually not good for them. So, what does Dr Chang advise a country like Uganda to do? Uganda should devise ambitious development strategies. But being ambitious does not mean being megalomaniac. Uganda needs to be realistic about what they can achieve in the short to medium term. Most importantly, implementers need to be very pragmatic about the policy tools they use. 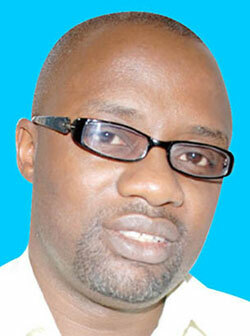 The author is the business development director at Observer Media Limited. Pepper Investigative Unit has landed on highly confidential papers exposing dubious deals Gen (Rtd) Caleb Akandwanaho aka Salim Saleh has been pursuing with the Rwandan fugitive Tribert Rujugiro Ayabatwa. Tribert Rujugiro is the proprietor of Meridian Tobacco Company Ltd based in Arua District, with its head offices in Kireka, as well as in Leaf Tobacco and Commodities Company Ltd.
We have reliably learnt that in order to effectively manage his vast business investments in Uganda, Rujugiro has corrupted high level Ugandan government officials including Gen. Salim Saleh by offering him 15% of the shares in Leaf Tobacco and Commodities Company Ltd. In a memorandum of understanding signed on 13th June 2017 between Leaf Tobacco and Commodities Ltd and Gen. Saleh, with Rujugiro and Ruth Sebatindira (Director and Secretary of Leaf Tobacco and Commodities Ltd) signing as witnesses, Gen. Saleh was granted 15% of the shares in the company as a silent/passive member without voting powers. The MoU further states that in return, Gen. Saleh would provide security services to the company for its businesses within Uganda and abroad, upon terms and conditions to be specified in the agreement. Sources further indicate that Salim Saleh has assured Rujugiro maximum protection during his business errands to Uganda. Related information we have gathered from insiders in NRM is that Rujugiro is the force behind the move to lift presidential age limit. Our reliable source from NRM has intimated to us that Rujugiro is the main sponsor of the ongoing constitutional amendments regarding presidential age limit using funds obtained from his vast dubious businesses in Uganda especially Tobacco business. He is reported to have released huge sums of money through Salim Saleh to ensure that the ongoing constitutional amendments regarding age limit pass without fail. He has promised the NRM through Saleh to pay hefty sums of money to parliamentarians in an effort to persuade them to vote in favour of the envisaged constitutional amendment. Leading law figures have urged the Uganda Law Society (ULS) to pronounce itself on the proposed amendment of Article 102(b) of the Constitution to remove the age caps on persons seeking to stand for the presidency. This was reached on during last Friday’s rule of law symposium called to discuss the legal and constitutional implications of the proposed amendment bill. 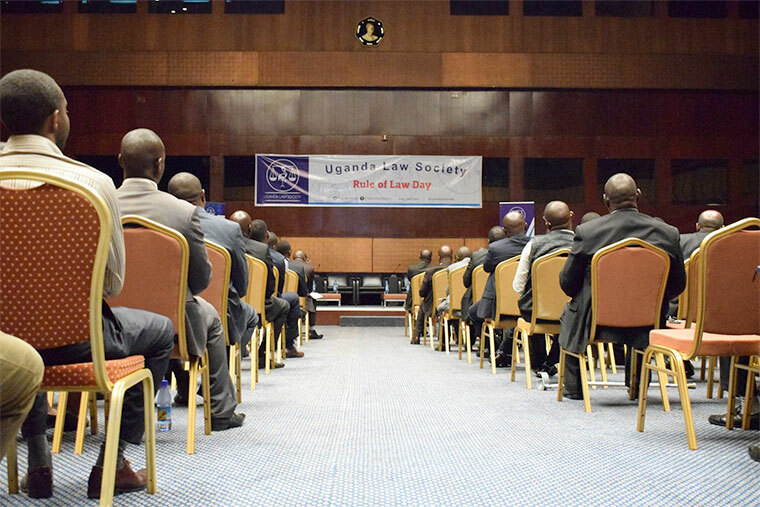 The more than 100 lawyers in attendance resolved that the ULS’ upcoming extraordinary general assembly should devise means of thwarting what they termed as ‘fraudulent means and maneuvering’ by NRM to abrogate the Constitution. Currently, 73-year-old President Museveni is ineligible to stand for the presidency in 2021. The conference is an annual fixture in the ULS calendar. Former ULS president Bruce Kyererere moderated the heated symposium that was held at Serena conference centre. The main discussants were constitutional law giant Peter Walubiri and Irene Ovonji-Odida, the current CEO of Fida. However, government’s top legal officials were conspicuously absent, raising suspicion that they snubbed the event. These include Justice minister Maj Gen Kahinda Otafiire, Attorney General William Byaruhanga and his deputy Mwesigwa Rukutana. Igara West legislator Raphael Magyezi, the sponsor of the bill, was also invited but didn’t turn up. ULS president Francis Gimara was also not present. Kyerere got the ball rolling by going through Uganda’s murky history. He explained that the only impediment to life presidency was the age limits but with the intended amendment, Uganda is destined for life presidency. Earlier, Ovonji-Odida had described as a ‘coup’ events of September 27, 2017, in which security forces raided parliament and violently arrested MPs opposed to the amendment. This prompted Walubiri to suggest that ULS has fertile grounds to mobilize lawyers to lodge a petition against the proposed amendment. He further challenged ULS to mobilize 30 serious lawyers and file a constitutional petition. However, some voices in attendance did not welcome this particular idea. But, Walubiri urged the lawyers to do their part. “If the judges decide to dismiss the petition and if the country one day descends into bloodshed, it will be judges to blame, not lawyers,” he said. 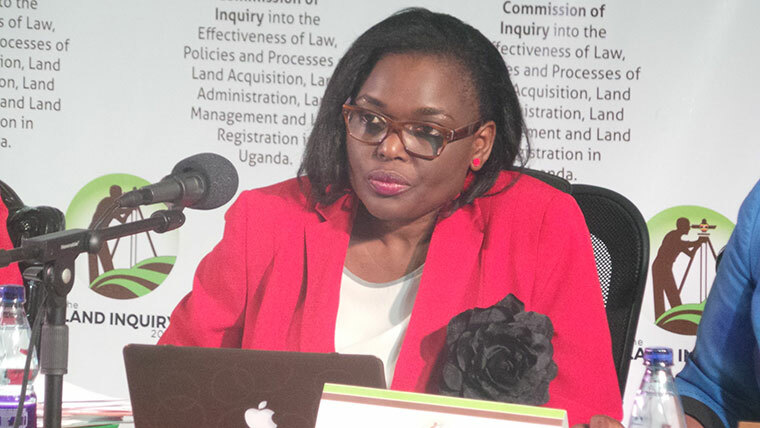 Ovonji-Odida also described ULS as a ‘privileged group’ when she was asked by Kyerere as to why security hadn’t dispersed the gathering yet they have been doing the same to other groups who are opposed to amendment of article 102 (b). Lukwago, however, disagreed with Ovonji-Odida’s prognosis, arguing that the ULS meeting was not attacked by security agents because the powers that be know they are inconsequential to the power struggle. Walubiri on his part said that it is about time lawyers stopped restricting their work in courtrooms but also come out to demonstrate peacefully with other Ugandans. The last time Ugandan lawyers demonstrated was in 2007 when a security unit known as ‘Black Mamba’ attacked the High court. We shall keep telling you lot that a constitution is just a document. Even when M7 goes this document will be changed so that a new one can be exercised if it will be the wish of the good people of Uganda. What is at stake is the wording of the present controversial bill. The human rights bill should be handled retrospectively so that it comes up as a non-age discrimination law in 2026 so that some of us who are 70 years old can stand as political candidates when this country and its dodgy NRM national constitution has experienced a peaciful presidential transition of power. It seems that President Museveni and few of his NRM supporters have learnt nothing from Uganda’s recent history. • In 1998, Vietnam which was exporting only 800,000 bags of coffee came to Uganda to study our successful coffee sector which exported about 3.5 million bags of coffee. By 2014, Vietnam was exporting 25 million bags of coffee yet Uganda had stagnated at around 4 million bags a year. • In 1970, (Idi Amin years) Uganda produced 500,000 bales of cotton a year. This production target has since collapsed to 252,619 bales in 2012/2013, to 128,364 bales in 2013/2014 and to 93,093 bales in 2014/2015. • Household poverty level has worsened from 56 per cent (1995) to 68 per cent in 2016. While 7.8 million Ugandans lived below poverty level in 1995 now 27.2 million Ugandans live below poverty level. • In 1960, the GDP income per capita of Uganda was $242; threefold that of South Korea at $79. By 2015, GDP income per capita for South Korea was $35,520, an increment of 449 fold while that of Uganda in 2016 was only $642 less than three fold. If the post-independence leaders in Uganda, inclusive of Museveni, had economists with intellectual capacity like the economists in South Korea our GDP income per capita would have been $108,658 putting us at the same GDP income per capita as that of Norway today. • In 29 years (1960-1989), South Korea GDP income per capita increased 65 fold to $5,199, yet in 30 years of Museveni’s rule (1986-2016) the GDP income per capita increased less than threefold from $260 to $642. If Museveni had economists with similar intellectual capacity as that of South Korea, Uganda’s GDP income per capita by 2016 would have been $16,900 putting us in the upper middle income like Malaysia today. • In 1965, Uganda had a better doctor population ratio of one doctor to 11,080 people while Morocco had a ratio of one doctor to 12,120 people, yet as of 2013 Uganda had one doctor per 28,916 people while Morocco had one doctor per 2,000 people. If Uganda had kept pace with Morocco, in 2013 Uganda would have had 17,350 doctors instead of only 1,200 doctors practicing clinical work in the country. • The unemployment rate in Uganda is at 83 per cent - one of the worst in the world. Although the writing is on the wall, Museveni lacks the Biblical Daniel to interpret it for him, (or at least remind him of his own words). In his own 1984 booklet Selected Articles on the Uganda’s War of Resistance, Museveni outlined four methods used to remove unpopular regimes: (1) Conventional war, (2) Insurrection (3) Coup D’état and (4) Protracted people’s war. How then can Museveni lay in his bed unperturbed when university students, teachers, doctors, judicial officials, university lecturers and local government employees are expressing massive industrial discontent in what he knows to be a “creeping coup” or better still a creeping ballot box coup, come 2021? Unfortunately for Uganda, Museveni still clamours to be president for life. Obugagga bwe kibiina ekya Uganda North America Association butuuse okwebuzibwa omuwi womusolo owa Uganda wa wabufuniramu? Ekyewuunyisa, ababaka ne bwe badda okuva mu nkuηηaana ez’ebweru nga UNAA tewali lipoota gye bakola, gye banjula mu Palamenti okuteesebwako wabula buli lwe badda ng’ate banuukanuuka kufuna ηηendo ndala ez’ebweru! BULI lw’owulira nti omubaka wa Palamenti yagenzeeko ebweru w’eggwanga ku bugenyi obutongole, kimanye nti buli olunaku oluziba, omuwi w’omusolo amusasulira ssente ezisoba mu 2,500,000/- okutuusa lw’alidda! Omubaka bw’aba waakumala wiiki ebweru w’eggwanga, awo ng’okubisaamu ddoola 720 (2,592,000/-) n’ogattako ssente eza ttikiti y’ennyonyi amagenda n’amadda okusinziira ku nsi gy’abeera agenze. Weesanga ng’omubaka omu, Gavumenti emusaasaanyizzaako obukadde nga 30 mu wiiki emu so nga n’omusaala gwe ogw’omwezi ogw’obukadde obuli wakati wa 25 ne 30 nagwo gumusasuddwa. Jjukira nti teri mubaka omu atambula wabweru wa ggwanga ku mirimu gya Palamenti emitongole wabula ababaka batambulira mu bibinja oluusi nga bawerekeddwaako n’abakugu ba Palamenti ab’emirimu egy’ekikugu. W’osomera bino ng’ababaka ba Palamenti 23 baakadda okuva mu Amerika gye beetabye mu lukuηηaana olwa buli mwaka olwa Bannayuganda abali ku kyeyo abeetaggira mu kibiina kya Uganda North American Association (UNAA). Olukuηηaana lw’omulundi guno, lwayindidde mu kibuga eky’ebbeeyi Miami mu ssaza ly’e Florida okuva ku Lwokutaano oluwedde nga September 1 ne luggwa September 3, 2017. Abateesiteesi b’olukuηηaana luno baali bayise ababaka ba Palamenti 100 kyokka Sipiika Rebecca Kadaga yabasunsula n’asalawo okutwala ababaka 23 bokka era wonna awamu Palamenti yatutte abantu 30 nga kuliko Sipiika Kadaga, abakozi ba Palamenti, abayambi n’omukuumi wa Sipiika. Ababaka abeetabye mu lukuηηaana luno ye Johnson Muyanja Ssenyonga ( Mukono South-NRM), Muhammad Muwanga Kivumbi (Butambala-DP), Mohammad Nsereko-(Kampala Central-Independent), Judith Nabakooba (Mukazi Mutyana- NRM) Harold Tonny Muhindo( Bukonzo East-NRM), Judith Babirye (Mukazi Buikwe-NRM), Paul Musoke Ssebulime ( Buikwe North-NRM), Elijah Okupa ( Kasilo-FDC), Felix Okot Ogong ( Dokolo South NRM), ne Florence Nambozo (Mukazi Sironko - NRM). Abalala ye: Isaac Mulindwa Ssozi ( Lugazi Municipality MP -NRM), Ruth Katushabe (Bukomansimbi North-NRM), Zaitun Driwaru ( Mukazi Yumbe -Independent), Hatwib Katoto (Katerera -NRM), Alex Ndeezi ( Balema-NRM), Kenneth Eitunganane Esiangu ( Soroti - Independent), Lydia Chekwel (Mukazi Kween- Independent, Nathan Igeme Nabeta-(Jinja Municipality East-NRM), William Nzoghu (Busongora North FDC), Alex Ruhunda (Fort Portal Municipality NRM), Leandro Komakech (Gulu Municipality-DP) ne Lucy Akello (Amuru-FDC). Palamenti era yabagulidde buli mubaka ttikiti y’ennyonyi ey’ekikungu eyitibwa “Business class air ticket” ya ddoola 6,000 ( ssente za Uganda 21,600,000/) buli ttikiti, ekitegeeza nti Palamenti yasaasaanyizza obukadde 518 n’emitwalo 40 ku tikiti z’ababaka 23 ne Sipiika nga totaddeeko abantu abalala mukaaga be baagulidde tikiti ez’abantu ba bulijjo eziyitibwa Economy Class Air tikiti ez’obukadde nga mwenda buli emu. Mu byentambula z’ennyonyi, ebifo omutuulwa abantu birimu emitendeta nga waliwo ‘Business Class’, omutuula abagagga n’abakungu nga ebifo ebyo birina endabirira ya njawulo era buli muntu w’atuula wagazi ekimala okugolola amagulu so nga mu ‘Economy Class’ we wandiyise aw’olukale, abantu batuula beenyize nnyo ng’abali mu bbaasi oba takisi era abo basasula ssente nntono nnyo. Ng’ebyentambula biwedde buli omuli ku babaka yaweereddwa ddoola 720 ( 2,600,000/-) buli omu nga ssente ezo zaakubisiddwaamu ennaku ttaano ng’awamu, buli mubaka yafunye ddoola 3,600 ( mu ssente za Uganda baawareddwa 12,960,000/-). Jjukira nti ensako ya Sipiika ya njawulo ku y’ababaka! Palamenti era yasasulidde ababaka ensimbi ez’okwewandiisa mu lukuηηaana lwa UNAA gattako ne ssente ez’okuyingira. Ku babaka ba Palamenti, kwegattiddwaako baminisita 10 okwabadde: Beti Olive Namisango Kamya (owa Kampala), Muruli Mukasa (ow’abakozi ba Gavumenti), Lt. Gen. Henry Tumukunde (wa Butebenkevu), Ruth Nankabirwa (Nampala wa Gavumenti), Betty Amongi (wa byattaka), Persis Namuganza (mubeezi ow’ebyettaka), Mbayo Esther Mbulakubuza (ow’Ensonga Ezobwapulezident) n’abalala. Buli Minisita lw’afuluma ebweru w’eggwanga ku mirimu emitongole, Gavumenti emusaulira ddoola 800 (2,880,000/-) buli lunaku oluziba okutuuka lw’adda mu ggwanga ng’abamu baafunye ensimbi za nnaku musanvu okusinziira ku Minisitule zaabwe nga bwe zaabategekedde ekitegeeza nti buli minisita yagenze n’obukadde nga 15. Tikiti z’ennyonnyi eza baminisita nazo zaawemense obukadde 210 bonna wamu kubanga ng’ababaka ba Palamenti batambulira mu ‘Business Class’ ey’abakungu. Gavumenti yasalawo buli mwaka okuwa aba UNAA ensimbi eziri mu ddoola 20,000 ( eza Uganda obukadde nga 70) zibayambe okuteekateeka olukuηηaana luno. Ekyebuuzibwa kiri, nti Munnayuganda omuwi w’omusolo afuniramu wa mu butitimbe bwa ssente Gavumenti z’eyiwaayiwa ku bantu ab’olubatu okugenda mu Amerika okwewummulirako? Omubaka Ibrahim Semujju Nganda yeetaba mu lukuηηaana lwa UNAA olwatuula e Boston mu ssaza ly’e Massachusetts mu September wa 2016 wabula bwe yadda n’ategeeza nti ekibeera mu nkuηηaana za UNAA si kirala wabula ababaka kugenda kwewummulirako na kulya bulamu mu Amerika. Semujju yategeeza nti omuwi w’omusolo talina ky’afunamu mu babaka okugenda mu UNAA kubanga ababaka tebalina kye bakola wadde ekiyamba abantu abaabalonda okuggyako okwekkusa n’okwefaako bokka. Ggwe teeberezaamu ssinga ensimbi ezo, obukadde nga 40 buli mubaka ze yasaasanyiziddwaako okugenda mu lukuηηaana olw’ennaku essatu, zaabadde zissiddwa mu kitundu ky’akiikirira, katugamba ng’e Sembabule abantu gye banywa amazi amajama, obukadde 40 zandisimye enzizi mmeka era abantu bameka abandiganyuddwa era okumala kiseera ki? Sipiika Kadaga bwe yabadde mu lukuηηaana luno, Bannayuganda ababeera mu Amerika yabasabye okwongera okuweereza obuyambi n’ebintu ebyekuusa ku byobulamu n’ebyenjigiriza n’abagumya nti tebatya URA tejja kubaggyako misolo ku buyambi bwe banaawereza. Bannayuganda boolesa ebyobuwangwa, empisa n’ennono za Uganda eri amawanga ag’ebweru ekiyamba okusikiriza abalambuzi n’Abazungu okwongera okutegeera Uganda. Baminisita n’ababaka ba Palamenti beeyambisa omukisa gw’olukuηηaana lwa UNAA okubuulira n’okunnyonnyola Bannayugana ababeera mu Amerika ku bigenda mu maaso mu ggwanga lyabwe naddala pulogulaamu za gavumenti. Olukuηηaana luno luyamba ababaka n’abakulembeze abava mu Uganda okumanya emirimu bwe gikolebwa mu nsi endala naddala ezikuze nga Amerika. Guba mukisa okusisinkana bamusigansimbi n’okubasikiriza okujja mu Uganda okutandikawo emirimu. Omuttaka M7 ye kyayagala kukwata shillings million 2 agule yiika emu eye ttaka wano e Buganda bwogana nga sente aziteeka mu banka yo ogende omuloope mu court. Ye ne governmenti ye nga batandika kukozesa ttaka lyo ku kifuba. Gwe Bukedde bino byomubuuza nti akawumbi governmenti ye ne Sipiika we kebakozeseza ku babaka ba Parliament 23 okuwumulira ko mu North America kagasakatya ba na Uganda, amawulire go gajja kuggalibwawo! Sirika wattu. Era Bukedde wakimanya dda nti teriyo nyo abagenyi ba NRM kyebakolayo okujjako ekyo Mukamawabwe kyabatuma. Abasanyusa bakomewo bayise etteeka lye ttaka erimutawanya okusabiriza abantu ba Uganda ettaka lyabwe. Bino byetumugamba nti Omuganda awayo ettaka lye okulikolerako ebirungi ate akwata sente zomuwadde nadduka mangu nagula ettaka eddala. Omuganda omuwanyisamu ettaka era nomuwa ettaka nebwaba atuula ku kibuga. Mukama wabwe ensonga eno agiganye okugiwuliriza. Ggwe M7 ne government yo, tolina ttaka ate nga nze bwotwala ettaka lyange njagala ompemu ettaka eddala! In Uganda, Teddy Cheeye who has been in the National Prison of Luzira for 10 years has been released. He says "Prison is good as you get to reflect on life." Imagine going to prison only to find a guy you helped to dispatch there many years ago! Now, imagine that guy welcoming you with a Bible instead of a hot slap! Well, that is exactly what happened when the former director for Economic Monitoring in the Internal Security Organisation (ISO), Teddy Sseezi Cheeye, arrived at Luzira prison to start his 10-year sentence, following his conviction on corruption charges in 2009. Cheeye, of the defunct Uganda Confidential fame, is back in town, having fully served his sentence. And boy, he has not lost his trademark acidic tongue and pen (as he plans to revive Uganda Confidential next month)! Apart from more grey in his hair, more God in his words and a few more wrinkles on his face, it’s the same old Cheeye, raring to start from where he stopped seven years go. One of the prominent inmates the veteran journalist found at Luzira was Johnson Kamya Wavamunno, who was convicted and sentenced to death for aggravated robbery committed in 1996. Two Barclays bank staff, a police guard and a driver were riding in the bank’s vehicle back to Kampala after collecting $500,000 (approximately Shs 1.8 billion) at Entebbe airport on February 29, 1996. At Kitooro trading centre, between the airport and Entebbe town, a few gunmen in army uniform lay in wait. The police officer was shot dead while the bank staff and driver fled the scene, as the armed gang helped themselves to some $240,000 (Shs 860 million) of the cash in transit. With police closing in on key suspect Wavamunno, he fled to Germany. He would be arrested in Kenya two years later. Cheeye’s Uganda Confidential had reported extensively about the case, identifying Johnson Kamya Wavamunno as the key suspect. “When I exposed him, CID boss Chris Bakiza picked it up till he was arrested in Mombasa,” Cheeye tells me when we meet at his home in Najjeera. Kamya Wavamunno has been in jail since 1999. His sentence was commuted to life in prison following a Supreme court order that all inmates on death row have their sentences adjusted to life if they have not been hanged within three years of their conviction. Now a reformed and religious man, Wavamunno took fellow inmate Cheeye by surprise when he offered him a Bible. Wavamunno even confessed in a prison church that he attempted to have Cheeye killed but failed. Cheeye himself has grown closer to God during his six-and-a-half- year stay in Luzira, so much so that he read Wavamunno’s Bible twice, from Genesis to Revelation. The first time was in 2012; it took him six months. The second time was in 2013; it took him eight months, as he was now more reflective, taking notes and matching related verses. “In prison, people are prayerful, especially those who want to get out and be better [individuals],” Cheeye says. Of Wavamunno’s disarming gesture, Cheeye goes biblical again, the umpteenth time he does so during our two-hour conversation. “When you do something that pleases God, he makes your enemies friends,” he says, paraphrasing Proverbs 16:7. Indeed, Cheeye says going to prison was God’s plan. According to Cheeye, God wanted him to read the Bible and then proclaim the truth. He says all the suffering experienced in Uganda today, citing hunger as an example, is because God has turned his face away from our sinful country. readers of Uganda Confidential will find a good dose of that. He might sound all composed now but it was not like that on the day he was convicted. It was around 11am on April 8, 2009 when Cheeye felt as if life was oozing out of him. He had just been convicted of misappropriating Shs 120m from the Global Fund. The money was deposited on the account of his organisation, The Uganda Centre for Accountability, to support Global Fund activities in the fight against malaria, HIV and TB. Justice Katutsi of the High court, and later on his colleagues on the appellate courts, all agreed that the money had been misappropriated under Cheeye’s watch. Cheeye maintains that his case was politically motivated, having made many enemies in politics and the judiciary as a journalist. He mentions the judge not only sending him to prison but demanding that Shs 110m be refunded as amounting to double punishment. “The feeling of fear of a person awaiting judgement is something no one can understand unless they experience it,” Cheeye tells me. He compares the day of judgement to life and death scenarios. When you are convicted, it’s death; when you are acquitted, it’s life, Cheeye explains. “At the stage when the judge convicts you, you can’t believe it’s true; you feel that it’s a dream,” Cheeye says, adding, especially if you feel that selective justice has been applied. Being a high-profile individual, Cheeye enjoyed some privileges in prison. He was taken to a ward of about 100 inmates housing mostly elite prisoners. The prisons authorities have a system of categorising prisoners so that the riffraff end up with their ilk while the elite are kept together. Prisoners such as Gilbert Bukenya, Kizza Besigye, David Sejusa and Charles Wesley Mumbere were treated like royalty by the prison’s standards, Cheeye reveals. When former Vice President Bukenya arrived in 2011, for instance, some inmates had to be moved to create enough room for him. He was also guarded so that other inmates couldn’t easily approach him. Former presidential candidate Besigye and General Sejusa were treated more or less the same way during their time at Luzira in 2016. But during Cheeye’s time, there is no prisoner who enjoyed a status like that of Bakonzo king Mumbere who spent some time at Luzira recently. “The king was treated with much more respect than others,” Cheeye said. He had a room with a flat screen TV, and once joked that he had established a cell fit for presidents. Cheeye created his own space in this context. He had a room to himself where he did most of his reading and writing, that has culminated in at least four books that he says are in the pipeline. Every single day, Prisons authorities open at 6am to check if everyone is in. A head count then starts; with those on remand being counted first and the convicts last. After the counting exercise, Prisons officers tally their results, before blowing the whistle to start the day officially. Before the whistle blows, inmates are not allowed to move out of their wards. This is the time Cheeye used to walk freely in the compound of about one acre and a half, enjoying the breeze from the nearby Lake Victoria, wile saying his prayer. After his 30-minute walk, Cheeye lines up for the prison’s daily porridge and then returns to his room to shower. His private breakfast of tea or millet porridge with bread or chapatti follows. Luzira prison allows inmates to prepare private meals. Cheeye’s food was delivered by his family members whenever they visited, and prepared by one of the two boys who helped him. He says most inmates of his status get such boys to cook in return for small favours such as foodstuffs, soap or toothpaste. With breakfast out of the way, Cheeye steps out to read, until lunchtime at 1pm. After lunch, he rests for at least 30 minutes and then returns to his spot in the compound to read some more. At 4pm, there is another whistle and another head- count as the inmates get inside. A few remain taking a walk up to say 6-m, especially when the prison is waiting for inmates returning from courts around Kampala. Then, after a shower and a light supper of say three Irish potatoes and beans, Cheeye heads to the corridor to watch news on TV. He is joined by about 40 others with the same interests. Younger in- mates are more interested in music; so, they crowd the TV space in the morning hours to watch music videos. Also of much interest are wildlife channels, which Cheeye found very surprising. He tells me he used to think only white people were fascinated by these programmes until he went to Luzira. The pay TV, a new innovation by the current prison ad- ministration, is funded by a donor for the ward. After the news, Cheeye returns to his cell to write his books until around midnight when he goes to bed. The general rule of lights out at 10pm applies to prisoners without private rooms. After initially living in denial and trying everything to get out, including appealing to the Court of Appeal and Supreme court, as well as writing letters to President Museveni and his wife Janet to no avail, Cheeye began to accept his fate. “Initial days are horrible, you are in denial - first of all you are thinking you have been victimised, and you believe reason will prevail and you get out,” he says. But after a prisoner settles in and accepts reality, life be- hind closed doors becomes a continuation of life outside, Cheeye tells The Observer. ABABAKA ba Palamenti bongedde okukambuwala. Baagala ebikonge bya gavumenti okusesema obuwumbi mukaaga ze beegabanya ku ssente obuwumbi 824 Uganda ze yawangula mu musango gw’amafuta. Ebiwandiiko ebisomoddwa okuva mu kitongole ky’emisolo ekya URA biraga nti ebikonge bya gavumenti byegabanya obuwumbi mukaaga mu 2015 nga kigambibwa nti Pulezidenti Museveni yazibawa ng’akasiimo olw’okukola ennyo okulaba nti Uganda ewangula omusango gw’amafuta mu kkooti e Bungereza. Wabula ababaka nga bakulembeddwaamu Peter Ogwang (Usuk) bagambye nti ensonga eno bagenda kujanjula mu lutuula lwa Palamenti, Sipiika Kadaga lwe yayise ku Lwokubiri olujja nga January 10, nga baagala abeegabanya ssente ez’omuwi w’omusolo bazizze. Eyali omuwandisi ow’enkalakkalira owa Minisitule y’Ebyamasannyalaze Kaliisa Kabagambe (obukadde 133). The Ruling Political Party of NRM is unable to leave power because it has no other way of making such an amount of money every week, month or year. DOES INTERNATIONAL LAW WORK IN UGANDA? We read the story in The Observer about the kidnap of a UN-protected person of concern, a Rwandan national, Dr Acleo Kalinga, who was abducted from protection in Tanzania by suspected Uganda security operatives. My concern is: Does Uganda respect the international covenants on the protection of refugees? Dr Kalinga is being persecuted for dragging Uganda to the African Commission on Human and Peoples’ Rights, a regional body based in Banjul Republic of Gambia; but why should this be so and who is responsible for the protection of refugees? We read that Dr Kalinga petitioned the UNHCR seeking a rescue, since the body is the guardian of the 1951 Refugee Convention which is the key legal document that forms the basis of the work of the UNHCR. According to the legislation, states including Uganda are expected to abide in ensuring that the rights of refugees are respected and protected, but for Kalinga’s case, it is defferent. We read that Maj Gen Muhoozi Kainerugaba was cited in Kalinga’s arrest because it was suspected that Kalinga had been sent by Rwanda in 2005 to assassinate his father, President Museveni. However, the fact is that Kalinga is supposed to be under the protection of the United Nations. Kalinga should be set free. The media has been awash with various stories since the closure of Makerere University. While appearing on the Capital Gang radio program, the Makerere University Academic Staff Association chairman, Dr Muhammad Kigundu, opined that there was lack of clarity on the number of students at the university. According to Dr Kiggundu, there are about 46,000 students, while management puts the number at 39,546. More startling is that mystery shrouds the actual number of employees at the varsity. Choruses of limited financial transparency were rehearsed on the same show. Mind you, the university teaches a course called bachelor of records and archives management with a master’s program set to start in 2017. Records management in Uganda has, up to now, not been accorded the due attention it ought to have. This explains why officials, both in public and private service, easily get away with blatant financial indiscretions – one gentleman couldn’t account for Shs 900 million before a parliamentary committee claiming that the files had been eaten by termites; and he is still in service! In police, the disappearance/loss of files is a common thing. This, in turn, cripples investigation and, later, prosecution by the judiciary. In the judiciary, cases are dismissed due to lack of evidence but, on the other hand, innocent people are convicted and sentenced based on fabricated evidence. For instance, Edmary Mpagi and his cousin Fred Masembe were sentenced to death for the murder of William George Wandyaka who was later found alive. Mpagi’s brother would later die in prison in 1985 while Masembe was released in 2000. We have witnessed several corruption cases that have collapsed under the weight of lack of evidence. Mind you, records serve as evidence but must be authoritative, unique and authentic. In the lands department, there are cases where a land title has been issued to more than one owner. The highly-praised Uganda National Roads Authority (Unra) has compensated people in wetlands and government reserves, contracted ghost companies, roads have been constructed without construction designs, etc – this resulted into hemorrhage of money amounting to almost Shs 5 trillion. Beyond commissioning the national archives center just next to the ministry of health, government, partners and the private sector should wake up to the realization that records management is not an event but a process and, therefore, the need to prudently manage the process. This will entail having professional records managers, a sound legal and institutional frame work, and a fully-capacitated training facility such as the East African School of Library and Information Science at Makerere University. Using proper records management, we will succeed in the war against corruption, financial fraud and all forms of crime. In 2015, Sheikh Muhammad Yunus Kamoga, the leader of Uganda’s Muslims of Nakasero mosque, and 17 others were charged with murdering Muslim clerics and their case is still being heard. In November 2016, Major Muhammad Kiggundu was also killed and seven Muslims, both from Nakasero and William street mosques, have already been arrested – never mind that these have not been brought to court. But who is killing Muslims?Sheikh Kamoga is accused of killing clerics, but he is in prison and the killers are still active. Does Sheikh Kamoga have a command centre while in prison? Secondly, the recent killing of Major Kiggundu is being connected to Allied Democratic Forces’ activities, but rebel leader Jamil Mukulu is in prison! If the ADF is active and can mobilise in Kampala, with intent to fight President Museveni’s government, why are government officials not the targets, but the clerics? Muslims in Uganda have had disagreements but they never resolved them through killings. For instance, when Muslim properties were sold fraudulently, the accused were taken to court, not killed in cold blood. For me, the current situation is a divide-and-rule policy by the state. About 2,000 years ago, Jesus Christ was very particular about religious leaders whose primary concern was self-aggrandizement and striving for recognition as their flocks suffered (Matthew 23: 7). “Woe unto you wolves in sheep’s clothing,” Jesus remarked. In risking his life in 1978, perhaps Archbishop Janan Luwum was clearly mindful of Jesus’ admonition in the face of murders dressed up as inevitable deaths on members of his flock. Sadly, it makes one wonder if the late Luwum’s martyrdom was not in vain since almost 40 years later, contemporary clerics, both Muslim and Christian, can afford wide smiles, dinners and handshakes with bad leaders and crown it all with national prayers! Praying for what? Certainly not after the bloodletting in Kasese and the blatant cover-up thereafter! Are the religious leaders ever going to leave their safe havens, put on sack cloth and emulate our own Luwum? The year 2016 has been eventful. It started with the general election where President Museveni was re-elected for a fifth term of office. Then Uganda Cranes qualified for the African Cup of Nations after 38 years of trying. Globally, we witnessed the historic Brexit referendum in the UK while the Americans got a surprise president in Donald Trump. But who do we credit for influencing these global changes and events. This year has been mysterious because all our political and economic experts were not able to predict accurately the news headlines for 2016. We even saw a famous Nigerian prophet, TB Joshua, with a track record of accurate prophecies, telling the world that Hillary Clinton was going to win the US elections. Strangely, a little-known young prophet from Kampala, Elvis Mbonye, has been quoted to have predicted the Brexit three years before it happened. On January 5, 2016, he predicted that there would be an earthquake in one of the islands of Japan. He also said that disastrous floods would destroy the southern part of England in November 2016. He later told members of his fellowship that he saw “a certain man trumping a woman in the US elections”, which was meant to predict Trump’s win over Hillary Clinton. With these accurate prophesies, I believe Prophet Mbonye deserves to be appreciated and recognized as man of the year 2016. IN UGANDA, WHAT IS WRONG WITH THE SERVICE PROVIDERS? Empty government offices during working hours. Growing up in rural Masaka, I always saw posters in our local shops with the words: “Customer is the King”. However, that is more in theory than in actions. I only had stable power supply for seven hours for the whole of December and have been given 23 reference numbers from Umeme customer care. The people who manage the customer care are coached to use similar words or phrases without thinking about their meanings or implications. Phrases such as “our technical team is in the area” are common; and it takes them 72 hours to reach your premises or rectify the problem! I live in a relatively affluent area whereby most of us are working and have gone through school. What is annoying is that majority of my neighbours have given up on asking Umeme to provide the services that we pay for. Many people have had to buy a set of solar equipment or use diesel engines, claiming “this is Uganda and nothing works here”. I find this an insult to our parents who took us to school. I always tell my children that if someone is paid to do something for you and they fail, they should not have a job anymore. If educated people cannot use their power to demand services, what will my mother in Kabula do? Umeme is currently running a campaign dubbed Wuuyo, meant to help them curb power theft and vandalism of their equipment. I have always asked them how they hope to succeed without public support. The same public that calls you and you spend three days or a week to respond to their concerns cannot be the same to report power theft and vandalism of your property. What does company like Umeme that collects billions of shillings from its customers as service fee lose to call up someone with a complaint and explain the delay in rectifying it? National Water and Sewerage Corporation is always praised as the best public utility company in this country and I have failed to know the criteria used in the voting process. I live near Kampala and my neighborhood has water pipes that rarely have water. It is only a few of us that bought plastic tanks and rely on rainwater-harvesting or purchasing from water tank merchants that provide water to those with fully-installed water pipes courtesy of NWSC. If someone who lives less than 20 kilometers from Lake Victoria has to share water with animals, what will our brothers in semi-arid areas do? Is it not shameful for people in Kampala and Wakiso to drink contaminated water in 2017? Imagine companies such as DSTV and StarTimes operate without toll-free lines? At one time, I called DSTV and spent Shs 10, 000 before my issue would be resolved. The lady at the other end was speaking as if she was being forced to do so, and didn’t mind that I was using my own airtime. My issue was not handled but she never called back. These same people will call you if you spend two months without paying their subscription. I visited their head office along Buganda road and someone who was supposed to assist me spent 30 minutes on a private phone call! In other words, they take us, their customers, to be money machines, but not people with feelings or emotions. I stopped shopping from Shoprite or banking with Stanbic because their respective employees are very arrogant and aloof. What these people fail to appreciate is that by coming to your company, I am only doing you a favour since there are others that provide similar services. I hate it when someone I am going to give money treats me with contempt. These companies can only do what they do to us because they are operating in Uganda where neither the government nor the public can put them to order. Ugandans are not assertive and rarely know their rights, probably because many have grown up under the influence of kingdoms and dictators. These two make people very submissive and without insight! What else would explain our tolerance to rot, loot, mismanagement, arrogance and abuse? The author is a lecturer at the International University of East Africa, Kampala.